A very good friend brought up the topic of Colloidal silver. As always, my insomniac tendencies spent far too much time reading on the manufacture of this substance. 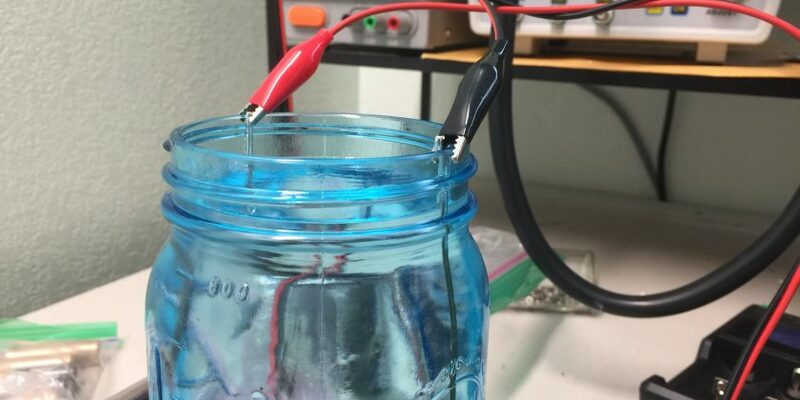 Many sites suggested using batteries, odd “current limiting diodes” or the purchase devices costing hundreds of dollars. There’s general consensus on the internet that a Constant Current generator produces higher quality product. This is the exact use case for a bench power supply. 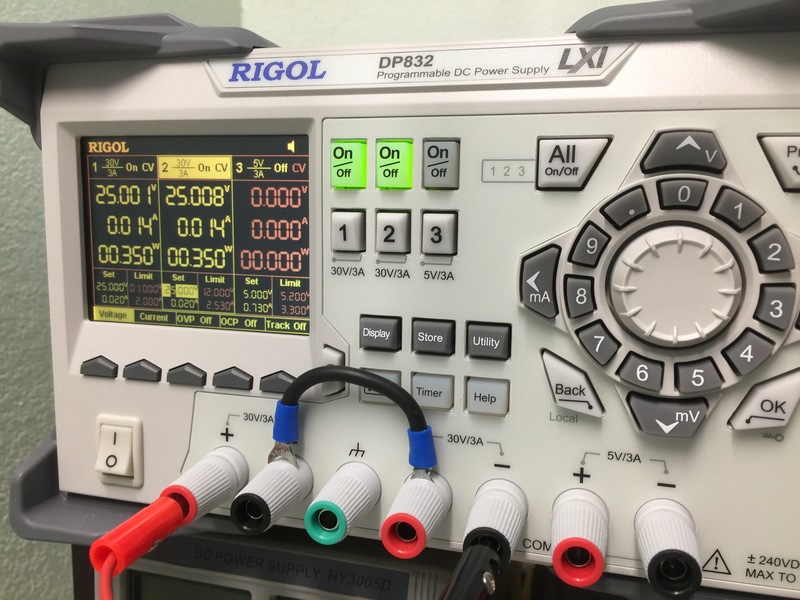 For this, I’m using my Rigol DP832 but any reasonable bench power supply would work just fine. Set bench power supply to 50 Volts CV 0.040 Amps CC. Feel free to experiment with these settings. 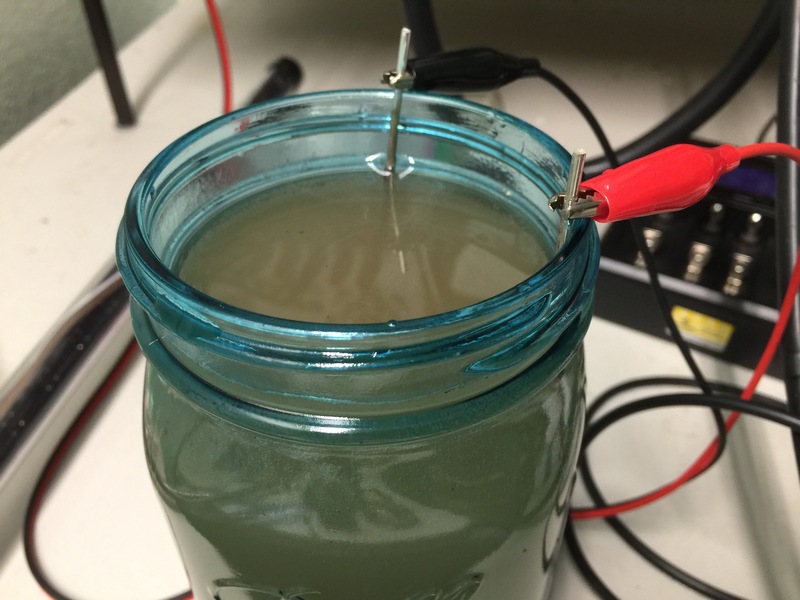 From what I’ve read on forum posts and other blog articles, voltage determines the production rate and current determines the particle size. Use alligator clips to hold silver in the solution. Pro tip: Use the edge of a jar to keep the silver parallel with each other. 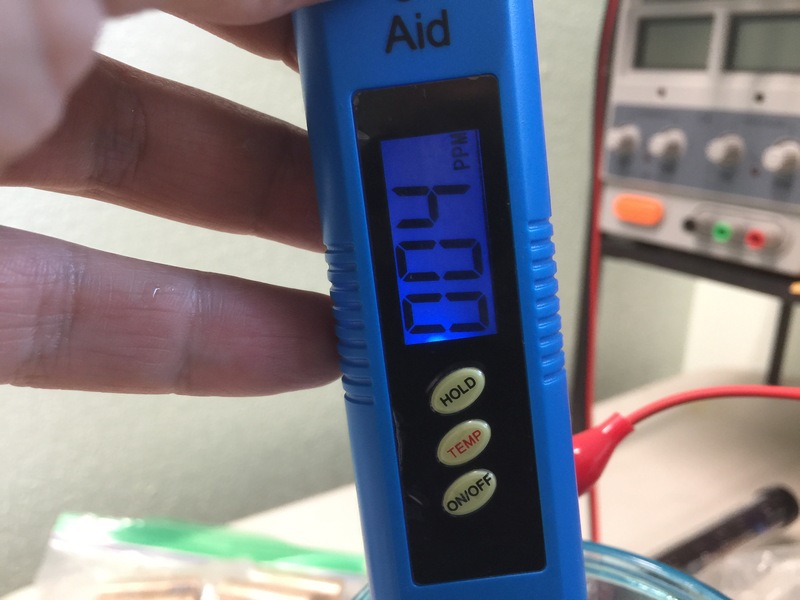 Wait and use a PPM meter to monitor the solution. DONE! There will be some black powder at the bottom of the jar. This is Silver Oxide and can be safely filtered away with a coffee filter. If you plan on using transferring this into a spray bottle, the silver oxide may plug your nozzle. If you’re going to use it in a dropper, you’ll be fine. hi, do you mean 50vdc will okay than regular 30vdc? Anything greater than 9v will work. Just be mindful of the current, don’t let it go too high.